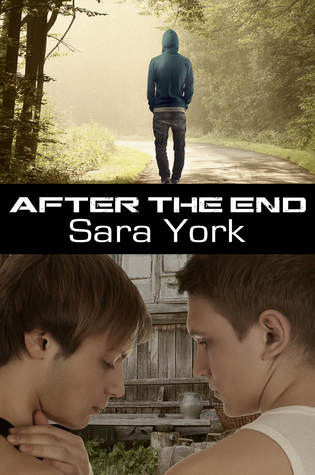 Sara York has brought out a nightmare of a situation, and allowed us to view and experience the downfall of the world, but still was able to show us hope in this wonderful book. There have been books written about the end of civilization, and while this book is fiction, it still allows the reader to feel like “what if”, and for that I have to say thank you. Nobody wants to think of the end of the world as we know it, but to see how these two characters deal with everything and learn how to survive and trust in each other is awe inspiring. There are many twists and turns, but as found in life, sometimes life doesn’t turn out the way you thought. To see how Dean over comes his fear of what he thought love meant, and how William was able to put his fear of what others thought was wonderful for me. That is what I find so refreshing about this book. While this book brings about the end of modern civilization in a way, it also shows just how strong we are, or how strong we can be. Writing is Sara York’s life. The stories fight to get out, often leaving her working on four or five books at once. She can’t help but write. Along with her writing addiction she has a coffee addiction. Some nights, the only reason she stops writing and goes to sleep is for the fresh brewed coffee in the morning.